Consider Chiropractic Care in Pelham and Biofeedback To Treat Your Migraines! If you suffer from migraines, biofeedback and chiropractic care in Pelham can change your life for the better. 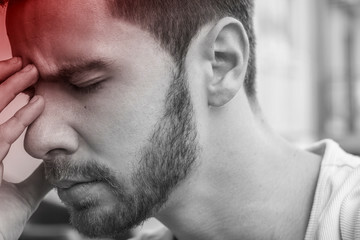 There are new methods as well techniques that are being used to help people who suffer from migraines so that they can find relief. You can avoid the use of prescription medication by using one of these natural approaches to treating your migraine headaches. 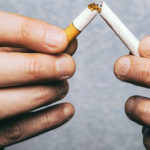 Both of these methods are healthier and safer alternatives than taking a drug daily. Whereas prescription medication can be addictive and have an adverse effect on your body, a more natural approach can be beneficial, and you can avoid shortening your life span. However, knowing that prescription medications are available for migraine headaches, you may wonder if a more natural approach can have a positive effect while treating your pain. With all of the concerns that are surrounding prescription medications, you have nothing to lose by trying to treat your migraine headaches naturally. In fact, there are several methods that are natural and can be used to treat your headaches efficiently and safely with your chiropractor in Pelham. 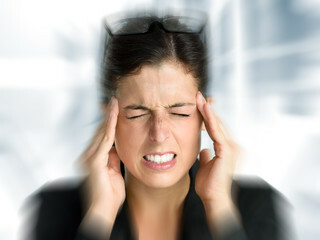 Chiropractic Care Can Treat Your Migraines Effectively! In the past, chiropractic care had been viewed as an alternative treatment and was frowned upon. In more recent times it has become accepted more commonly by the mainstream medical community and it even being recognized as a form of treating your migraines. Once these are completed, your imbalance can be restored which will result in your symptoms being reduced. When you turn to chiropractic care, you can decrease the occurrence of those symptoms in a more natural way. If you suffer from chronic migraines, you may want to use biofeedback in addition to your general chiropractic care. 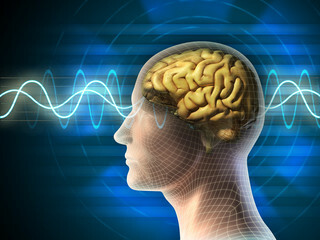 Biofeedback is a technique that relaxes both your mind and body. With this treatment, the patient will learn about the natural process within their body that works to control relaxation. Depending on the symptoms that you are experiencing or the intensity of the headaches, your doctor can choose to use one or more sensors in order to determine your length of relaxation. The idea behind biofeedback is to teach your body how it should react to certain stressors when it is in an environment that is controlled. Once you can respond properly to stress when you are in a controlled environment, you should be able to begin to respond properly in your daily life instances. When you pair biofeedback with chiropractic care, you will begin to notice a difference quickly, and it will change your life! All of these options can work to help you learn to react appropriately to stressors, but each will work differently. The most common biofeedback device is an Electromyograph (EMG). This device can be used to help correct any muscle pain that you have been experiencing, and this option has been used for patients that are suffering from fibromyalgia. This device can measure the amount of electricity that the patient’s muscle gives off. The Peripheral Skin Temperature is a less common device that is used for biofeedback. This device can be used to measure electrical impulses that are measured by the blood flow of a patient, and it can also be used to give information regarding skin temperature. Lastly, the EDR or Electrodermal Response will be used to measure electrical impulses that are produced when the patient sweats. This option tends to be used for people who suffer from either depression or anxiety. There is not a one size fits all option. With that said, your doctor may choose one or a combination of these devices to treat your migraine headaches. Click here, if you would like to find out if chiropractic care in Pelham or biofeedback can improve your migraine headaches. Newer post: What Are Treatment Guidelines for Pelham Chiropractor Care?